Once upon a time, there lived many little People. They lived in a house on a mountain. They weren’t quite sure what the name of the house was, because they were far too small to read any signs, and their mouths were so tiny that they could barely even talk. In fact, their expressions were FROZEN onto their faces forever. So, they have to communicate in strange ways. These little People were very tired of this house on a mountain. They wanted to find adventure. They had only ever heard of the word Adventure. They weren’t quite sure what it was, so they wanted to find out for themselves. 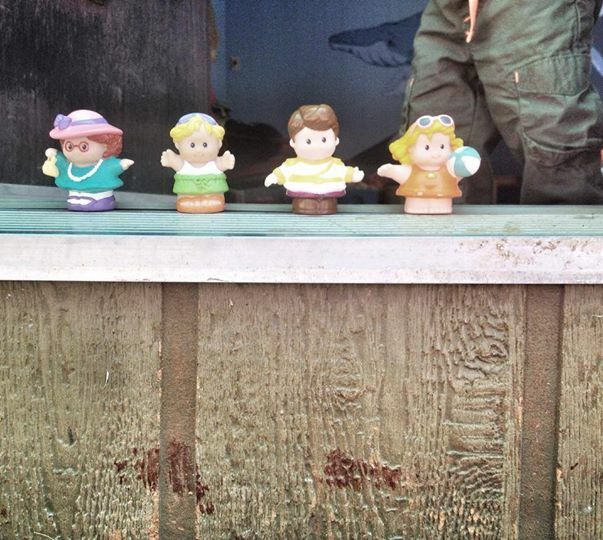 There were 4 little People, in particular, that were especially adamant about finding Adventure. In fact, 3 of those little People were girls, and one of them was a boy. They would often look outside whenever the door happened to creak open. They tried to outrun and escape the grasp of the children that lived in this house. 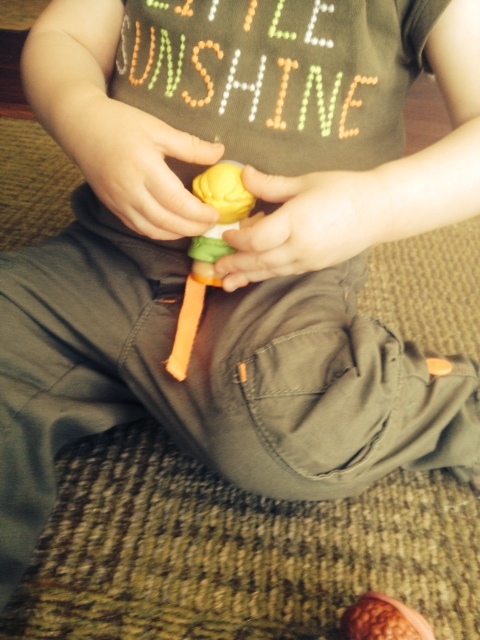 Sometimes, the little People liked being toys, but most of the time, they didn’t really like it all that much. So, they would stare into the great outdoors and just dream of Adventure. Whatever that was. After every human left the stuffy house, they would run to their other little People friends, and make plans for a great Escape. They didn’t want to be toys anymore! They would often get smashed and thrown and tossed. They weren’t very fond of these things, and the child slobber was irritating them. Who wouldn’t be bothered by child saliva? So, the 4 bravest little People devised a plan. It wasn’t all that amazing, but it was a plan nonetheless. 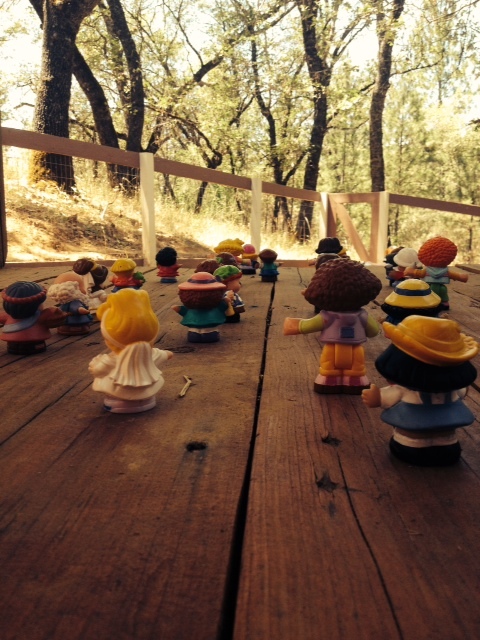 They rallied all their friends and began to formulate an idea. While no one was in the house, they were going to break free of their container and run for their little lives. It was a brilliant idea, save for the one little Person that did not agree. She was the oldest little Person, and her name was simply Granny. She advised the four NOT to escape, then she urged all the Little People to stay put. They would not listen. 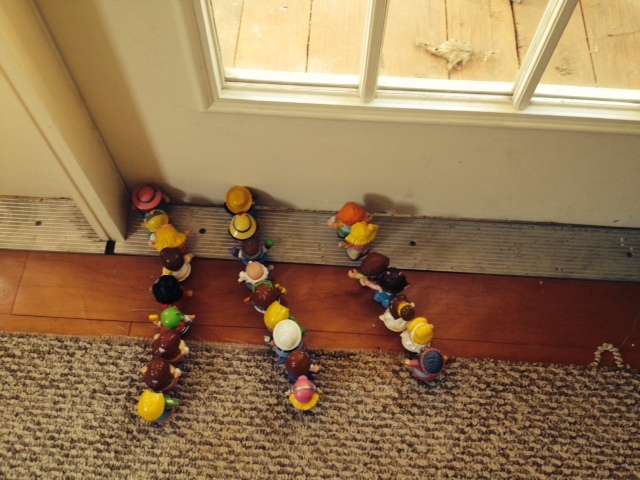 They lined up in 3 sections and pushed the door with ALL of their might. Their frozen expressions grimaced a little. Their anxious hearts beat ever faster. Their excited minds raced with the possibilities, and their little arms bulged with muscles that they really didn’t have. Just when they thought the door would never give way, it creaked open just a tad. They felt the air for the first time. It breezed across their faces and into their plastic hair. Their hair didn’t move, of course! It is plastic, after all! However, it still felt good to them. They kept on pushing the door, and their strength doubled as they felt the wind on their plastic, slobbered-on hair. The four most anxious People to escape the house were grunting louder and pushing harder than the rest of the others. These particular 4 were plain tired of being just toys. They wanted to experience adventure. Something new! Something exciting! Something fresh! Something that could be recorded in the Sierra Price Times. They felt unexciting and useless as just little People living in a house. Worthless, good-for-nothing-but-slobber plastic people. So, they pushed harder. They grunted louder. They wanted to make their Great Escape. And they would. Even if it took them all day, and it almost did. Yet, they did not give up. Well,they DID give up something, but they did not give up on pushing the door open. Perhaps you will figure out what they gave up. I won’t tell you in this introduction or in any editions to come, but by escaping the stuffy house on a mountain, they gave up something. 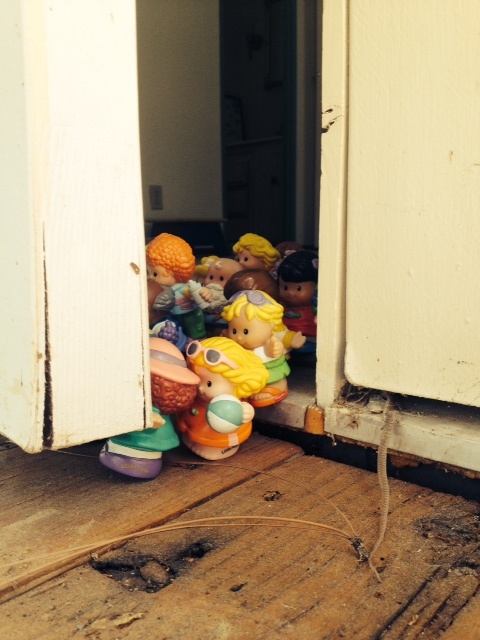 Suddenly, the door was completely open and the little People squeezed out as fast they could. Once they were out in the wide open, they were not sure what to do or where to go. However, they were just too excited and too happy to be out of that stuffy house. They waddled and ran as fast as their little plastic one-legged bodies could go. They felt freedom as they had never felt before. They weren’t sure what to do with it, BUT they were excited to have it. Every one of them started to go in separate directions, except for the four little People that were mentioned earlier. They stayed side by side as a team. They had to experience this adventure together. If they could have held hands, they would have. But remember that they are plastic which provides quite a few difficulties, which would include holding hands that are already factory frozen. 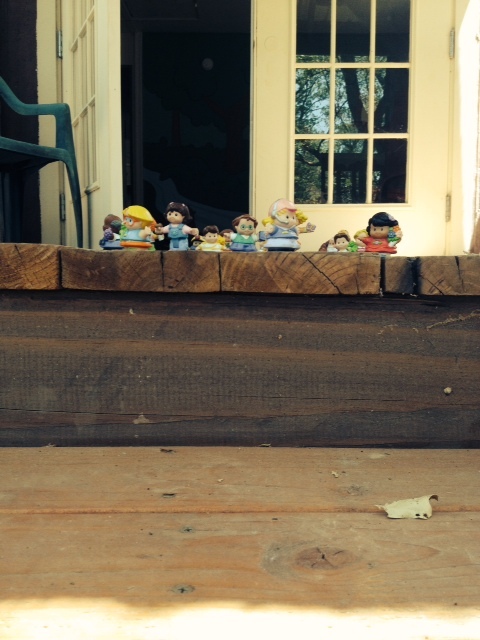 The little People stared out into the great unknown, quite unsure of what the future held. Though some would not admit it, they were petrified, and they wondered why they had left the house. They were unable to return for 2 important and pressing reasons. First, they were very prideful little People. They did not want to admit to each other or EVEN to themselves that they were scared of the outside. 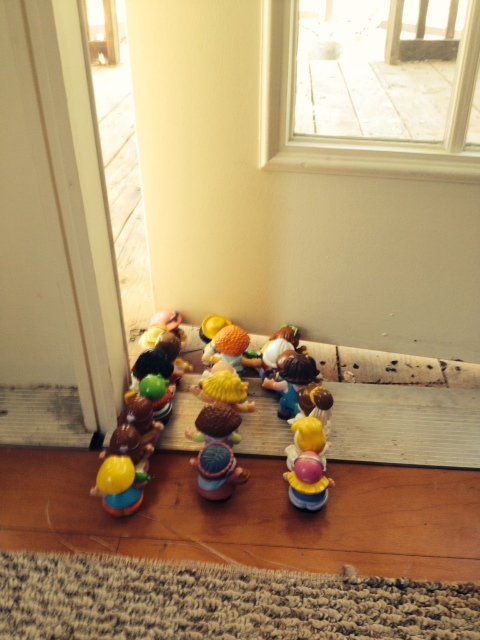 And second, the door shut too soon, and they needed all the little People strength to get it open again. Though, by now there is no unity among the little People. They wanted their freedom too much. So, all the little People, save for the 4, have dispersed in many different directions. Now, remember back to the mention of Granny? Well, she watched all the little People leave. She was very sad at their decision. But above all, she was very, very, very sad about losing her 4 (secretly) favorite little People. 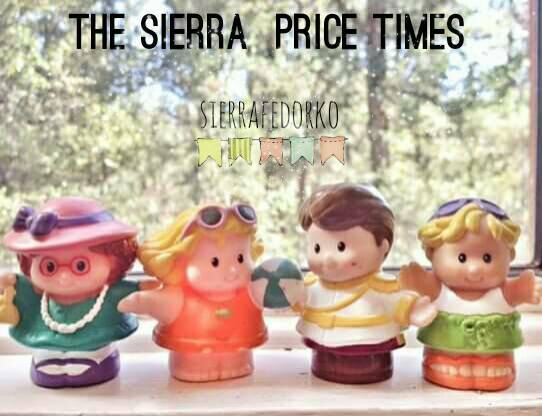 Attention Readers: The characteristics and names of these 4 little People will be enclosed in the first edition of the Sierra Price Times. There is quite a bit to say about this particular information. In a few days time, the exact location of their whereabouts will be discovered, and there will be updates for all readers of the this newspaper. Keep your eyes peeled for Little People. They may very well be in your area. To subscribe to The Sierra Price Times, just “follow” Down Cottonwood Lane to make sure you get updates whenever the newspaper is published for the public eye, or click here to see the official Facebook page. < Previous Return to the Sierra Price Times! Enjoyed first installment. Can’t wait to see where this is going. I can’t wait for you to see!! Thank you for reading:-) I’m excited to have your participation!